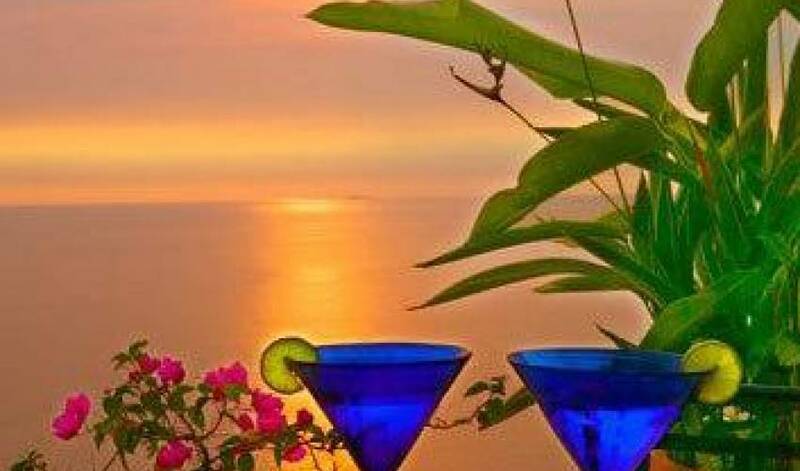 Puerto Vallarta is a Mexican paradise which borders the Pacific's beautiful Bay of Banderas. Located on the same latitude as Hawaii, the resort town relishes its year round tropical climate. Downtown Puerto Vallarta provides a taste of old Mexico with its cobblestone streets, beloved cathedrals, and quaint white-washed houses. The city also offers a wide array of restaurants, shops, and a fantastic night life. The bay supplies ample recreation including hiking, mountain biking, scuba diving, snorkeling, deep-sea fishing, tennis, and golf. 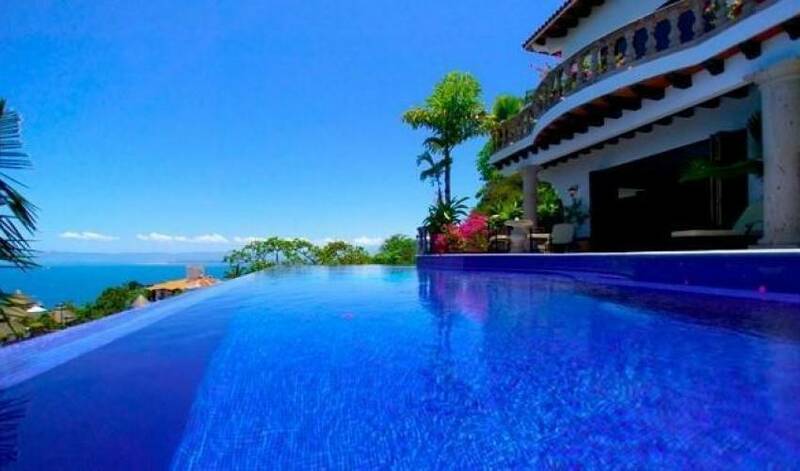 Just a few minutes south of downtown Puerto Vallarta, in the hills of the Sierra Madre Mountains, lies the spectacular vacation rental villa. 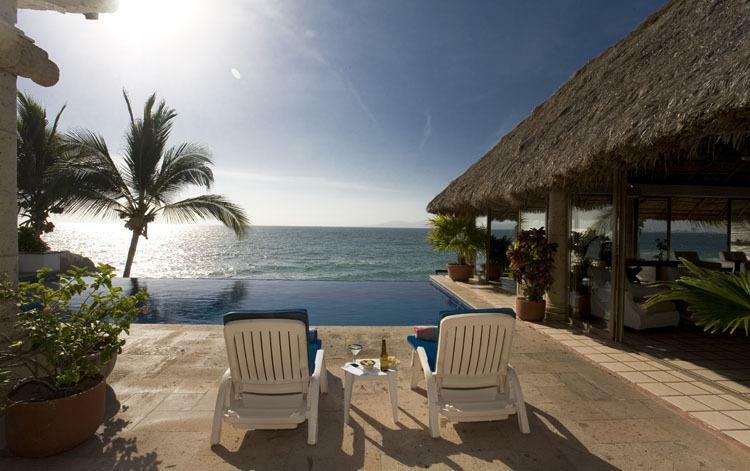 This three level colonial style hacienda is equipped with five bedrooms, each with spectacular views of the bay from their terraces. The main level garden courtyard offers a serene ambiance for outdoor relaxation. 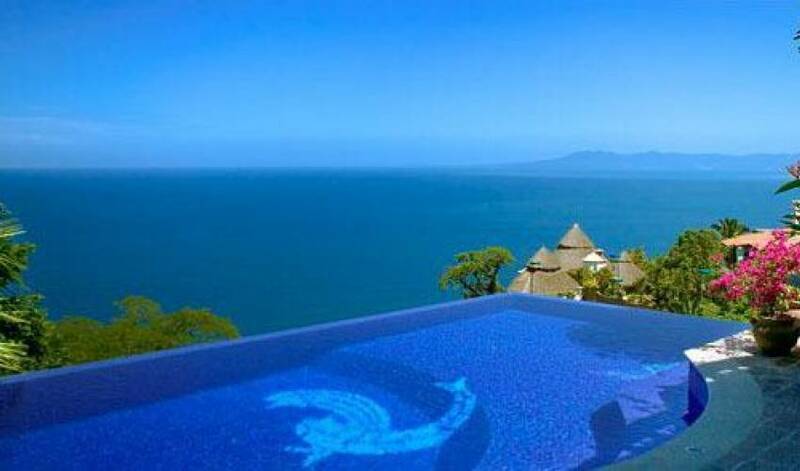 From the infinity style pool one can soak in the awe inspiring panoramic view of the Bay of Banderas. The on-site cook and maid service add the final touch fulfilling the experience. 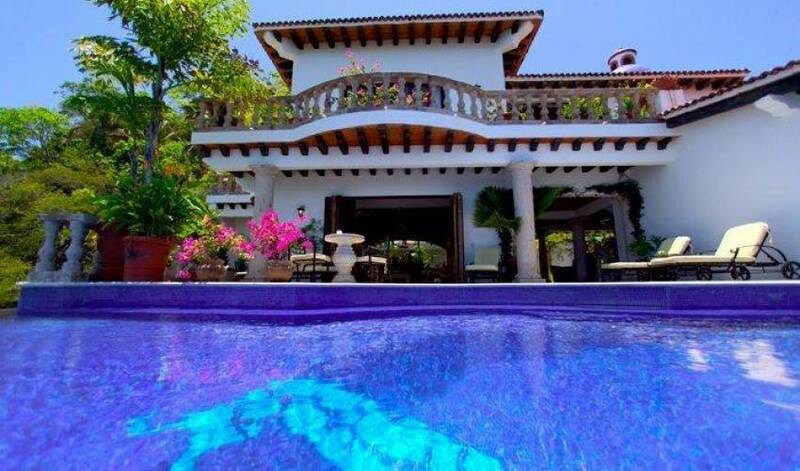 The villa is a luxury five bedroom, 5 1/2 bath, 3 level, approximately 8000 square foot hacienda style Mexican colonial home. 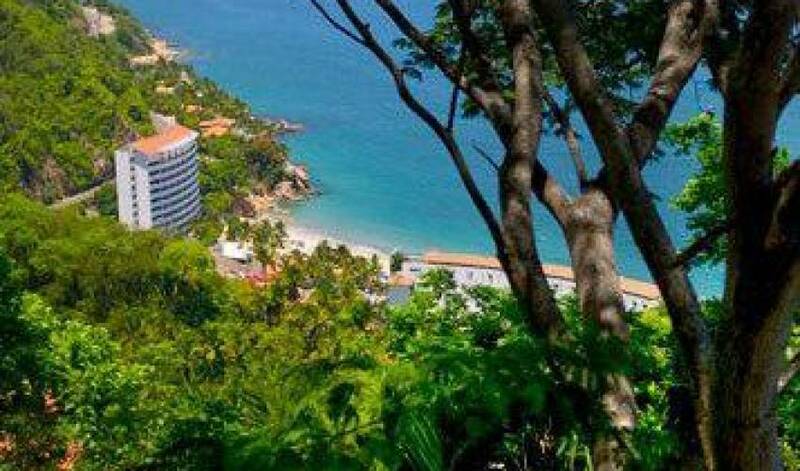 It is situated in the heights of Conchas Chinas, Puerto Vallarta (five minutes from the beach and seven minutes from downtown) with a spectacular view overlooking the Bay of Banderas. The large entry courtyard is adjacent to a stone columned loggia with beamed ceilings. A path from the courtyard leads to a garden below. 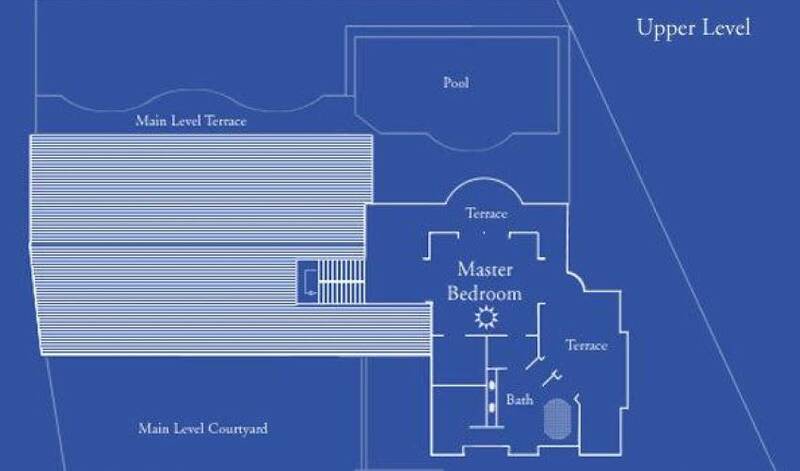 A large living room and dining room open to a view of the bay, courtyard, and patio fountain. The dining room, kitchen, and stairway have antique colonial brick ceilings. 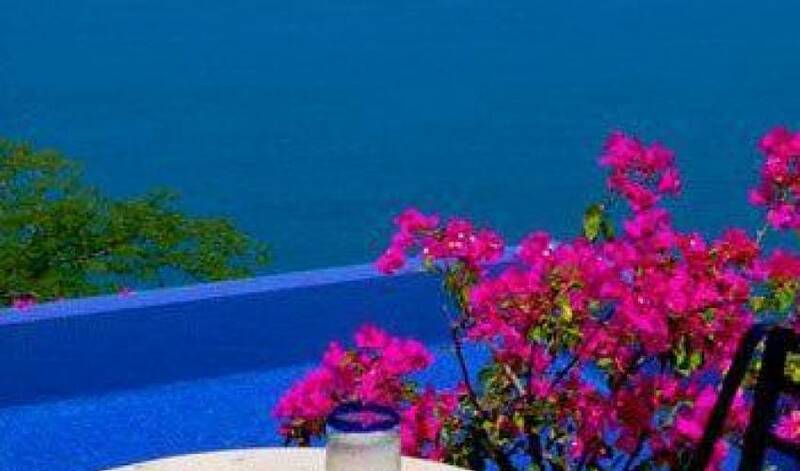 All bedrooms and baths are air conditioned and give dramatic vistas of the ocean. 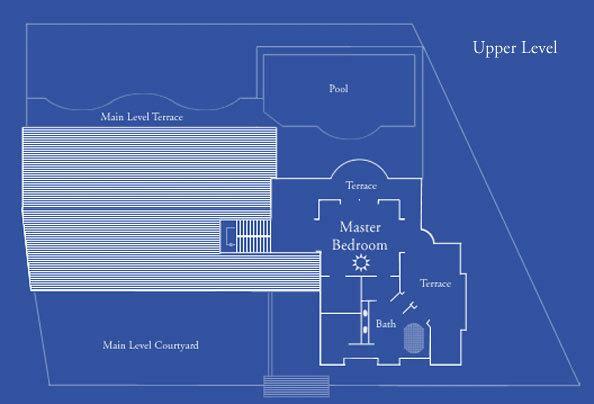 The large master bedroom has a Jacuzzi bath. 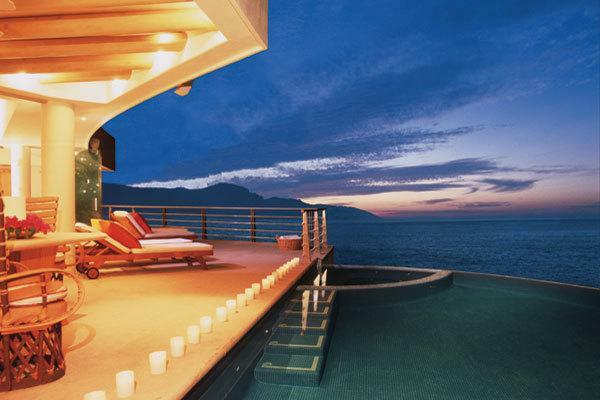 The thirty-five foot decorative infinity style pool overlooks the Bay. The hacienda is fully staffed with a maid and a cook.